2005-06 PBA Player of the Year Tommy Jones (pictured right with Chris Barnes and Ebonite International Tournament Ambassador, Mike Quitter, center), United States, had the field-best 1434 series, an average of 239, in Squad 15 en route to move into third place in individual qualifying and first place in Doubles in the 12th Columbia 300 Vienna Open. 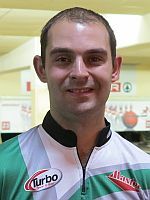 The 15-time PBA champion had games of 213, 206, 290, 268, 191 and 266 to trail qualifying leaders Craig Nidiffer (1467), United States, and Diana Zavjalova (1454) of Latvia, by 33 and 20 pins, respectively. 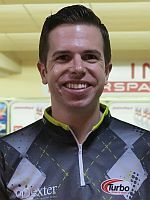 Jones teamed with 17-time PBA titlist and fellow Team USA member Chris Barnes (23rd; 1339) to overtake previous leaders Nidiffer & JR Raymond by four pins, 2773 to 2769, in the Doubles competition. 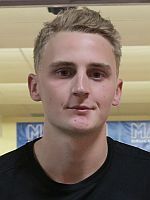 Lefty Joonas Jehkinen (left) of Finland was second to Jones in squad 15 with 1386 including five games between 227 and 247 and a low game of 208 to leap into fourth place in the overall qualifying standings. Dominic Barrett (right) of England and Thomas Larsen of Denmark fell two spots to fifth and sixth place with 1372 and 1369, respectively. 5-time EBT and 4 PBA champion Mike Fagan (left), United States, toppled 1368 pins, an average of 228, to push World Youth Championships Doubles gold medalist Markus Jansson of Sweden to eighth place with 1364. 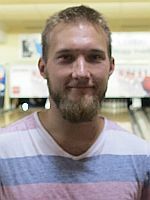 Jansson’s teammate, WYC Masters champion Jesper Svensson (right) missed the top 8 by two pins to sit in ninth place with 1362. The top 8 after Saturday’s Squad 20 will receive a first-round bye for Sunday’s finals. With 267 players from 28 counties in the books, two-time European champion and two-time EBT women’s point raking leader Joline Persson Planefors (2011, 2013) currently holds the 51st and last spot to make the qualifying cut with 1282 including 48 pins handicap. Qualifying continues on Friday, October 3, with Squad 16 starting at 9 p.m. Central European Summer Time (CEST) and commences Saturday with Squads 17-20 and the Desperado Squad, which will conclude the qualifying.